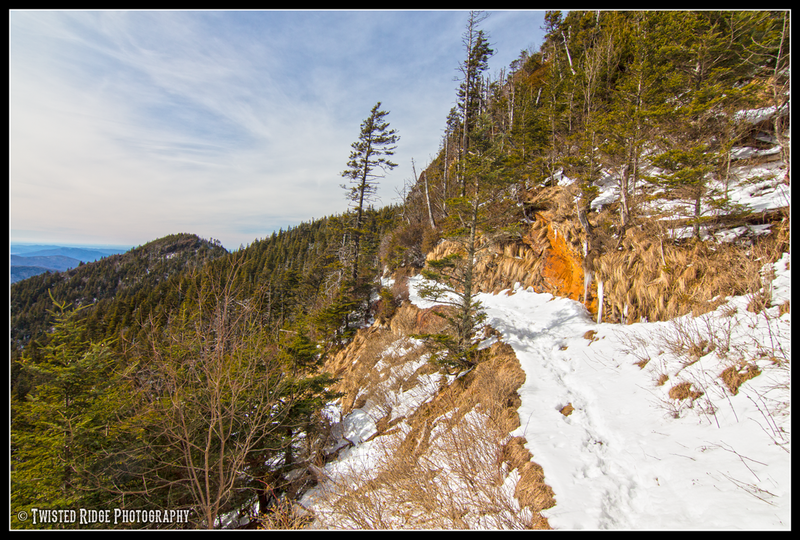 The following is a guest blog by Andy Drinnon from Twisted Ridge Photography. This is part one of a three-part series that will run on this blog through the end of this week. You can read an introduction on this series by clicking here. At an elevation of 6,593ft, Mt. 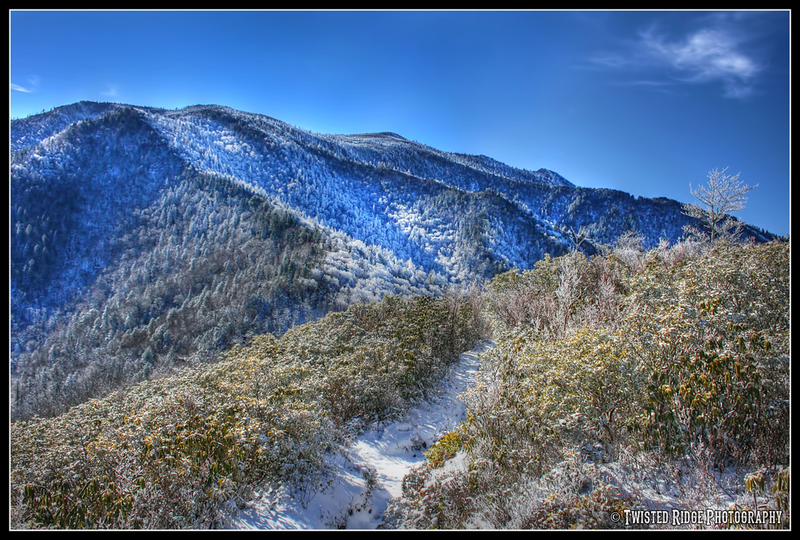 Le Conte is the third highest peak in the Great Smoky Mountains National Park. Towering above Gatlinburg, Tennessee, the undulating ridgeline of Mt. Le Conte has had a magnetic effect on hikers and visitors to the Smokies for more than a century. As part one of a three-part series examining the allure of Mt. Le Conte, this post summarizes the trailblazing efforts of early-twentieth-century “Le Conte enthusiasts” whose profound love of the mountain fueled the movement to preserve its awe-inspiring beauty for future generations. Today, hikers can access the summit of Mt. Le Conte via one of five distinct trails: Boulevard, Rainbow Falls, Trillium Gap, Bull Head, and the most popular route, Alum Cave. However, during pre-Park years, access to the top of the mountain was limited. Two trails were commonly used by pioneering hikers to reach the summit. At Bear Pen Hollow, located close to the present loop along Newfound Gap Road, hikers trekked up what author and founding member of the Smoky Mountains Hiking Club, Carlos C. Campbell, described as “barely a beaten path” that led to Le Conte’s West Point. This was a rather difficult route for even the most experienced hiker of the period. In his memoirs, Paul J. Adams explained that people would often climb tall trees next to the path in order to read the lay of the land and locate their next objective. After clambering through, and sometimes over, thick patches of tangled laurel and rhododendron, hikers would then follow the ridge from West Point to the summit. Because Newfound Gap Road had not yet been built, one’s journey to Le Conte from Bear Pen Hollow actually began in Gatlinburg. From there, hikers reached Bear Pen Hollow by walking (or riding horses) along the old Thomas Road, the first wagon road over the Smokies, which was located about a mile and a half to the west of the current highway. The second, more accessible early hiking trail on Mt. Le Conte was located southeast of Gatlinburg at Cherokee Orchard. This route began near a barn at the rear of the orchard where a sign post once indicated a distance of four miles from Cherokee Orchard to Cliff Top. There, a rugged path known at the time as the “Mill Creek Trail” (later renamed Le Conte Creek), followed a boulder-strewn route to Rainbow Falls where hikers would often rest before continuing up the mountain. The old Mill Creek Trail once used by Adams and other hikers has since fallen out of use, but Rainbow Falls remains a popular destination for Park visitors. Today, hikers can head to the top of Mt. Le Conte from Rainbow Falls by following the Rainbow Falls Trail for an additional 4.2 miles. The current trail, constructed by Civilian Conservation Corps workers during the early days of the Park, crosses a footbridge over Le Conte Creek and leads away from the 80ft high waterfall. A switchback brings you above the falls where you can continue the steady climb up the mountain. However, in the 1920s, hikers undertook a more adventurous route in order to regain the old Mill Creek Trail above Rainbow Falls. On August 6, 1924, Adams and Wiley Oakley, the famed local mountain guide from Gatlinburg, led a group of twenty-five individuals, including two members of the Southern Appalachian National Park Committee, to the summit of Mt. Le Conte from Cherokee Orchard. It was the hope of the Great Smoky Mountains Conservation Association who organized the hike, that the two committee members would be so impressed by the grandeur of the mountain that they would support the growing movement to create a national park in the Smokies. Prior to the hike, workers cleared large blow-downs and heavy underbrush along the route in an effort to improve trail conditions. While this may have simplified matters for the group on the day of the hike, Adams recorded the daunting scene that unfolded when the hikers reached Rainbow Falls. Back then, one needed both strong legs and arms to gain the top of Rainbow Falls. The ‘trail’ went up a leaning [hemlock] tree near the bluff, about 100 feet west of the falls. Helpers at the base of the tree helped some of our less agile guests to reach the first tree branches. Others at the top helped them from the tree to solid ground. But everyone had to climb the middle distance under his own power. One has to wonder what the Park Committee members from Washington, D.C. were thinking as they scrambled up the fallen tree to the top of Rainbow Falls. Fortunately for the GSMCA, no one was injured and the hiking party was able to reach a rough camp established near Cliff Top. Two weeks before the Park Committee hike, the influential leader of the Smoky Mountains national park movement, Col. David C. Chapman, along with Oakley and a dozen other men, blazed a trail on the south-face of Mt. Le Conte which served as the descent route for the group. 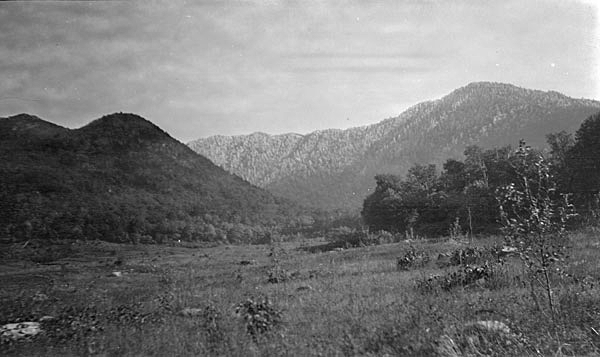 According to Adams, the trailblazers spread out and began searching for a ridge that connected the crest of the mountain with Alum Cave Bluff. After locating the ridge about a half-mile below Cliff Top, the men began the tedious work of cutting a new path. This they linked with a pre-Civil War trail leading from the bluff to Grassy Patch, now the site of the parking area for the Alum Cave trailhead. The present Alum Cave Trail, graded and redirected by men of the CCC, crosses the old, disused path several times along its length. Alum Cave Bluff presented members of the 1924 park commission hiking party with another tough challenge as they descended the newly blazed trail from the summit of Mt. Le Conte. On the previous day, the group had to scramble up a tree to reach the top of Rainbow Falls. The next afternoon, they had to negotiate the 80ft high, 500ft wide overhanging cliff before carrying on to Grassy Patch. Campbell explained that several members “climbed down a tree, the top of which reached just above the upper edge of the cliff.” Others, he noted, managed to slide down the “almost perpendicular slope” to the side of the rocky outcrop. As time went on, a cable was secured near the top of the bluff to assist hikers coming down the mountain. Today, however, Alum Cave Bluff makes for a pleasant, rather than intimidating rest stop for hikers heading to and from the summit area. The cable has long since been removed, and the current Alum Cave Trail bypasses any serious difficulties near the popular location. By the mid-1920s, Mt. Le Conte had become the focal point for influential Smokies enthusiasts who tirelessly promoted the idea of creating a national park in the mountains of East Tennessee and Western North Carolina. Combined with the assistance of experienced guides such as Paul Adams and Wiley Oakley, the trailblazing efforts conducted during this period by the Great Smoky Mountains Conservation Association and members of the Smoky Mountains Hiking Club (organized in 1924) helped to make that idea a reality. 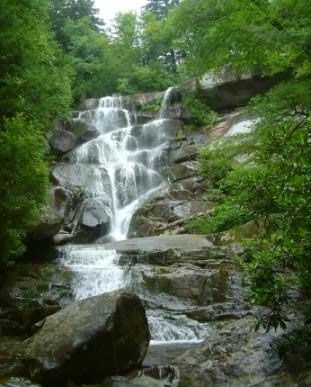 On several occasions, potential park supporters, along with National Park Service commissioners, were led to the summit by means of the old Mill Creek Trail where the lush beauty of the virgin forest and the spectacle of Rainbow Falls “brought high praise” from participants of the hike. After visiting the summit, hiking parties often descended Mt. Le Conte via the newly cut trail on Alum Cave ridge which provided alternative access to Alum Cave Bluff and the viewpoint known as Inspiration Point. Although they were rough and rugged, the earliest trails leading up Mt. Le Conte allowed an ever-increasing number of hikers to reach the top of the iconic peak. Part two of this series will examine the important activities undertaken by Paul Adams who, in 1925, established a camp for fellow Le Conte enthusiasts near the summit. The following is a guest blog by Andy Drinnon from Twisted Ridge Photography. This posting is the introduction to a three-part series that will run on this blog over the course of the next week. As a photographer and an historian, Andy will be providing a historical perspective on hiking to one of the most iconic spots in Great Smoky Mountains National Park: Mt. Le Conte. In addition to his own photography, Andy will also be including some rarely seen historical photographs. Cliff Top, a rocky outcrop that offers some of the finest views in the Great Smoky Mountains National Park, is situated about a half-mile to the west of the summit of Mt. Le Conte. Paul J. Adams, who in 1925 established the first official camp for hikers on the mountain, appropriately described Cliff Top as the “gathering point of Le Conte enthusiasts in the late afternoon.” Within the pages of his Mt. Le Conte, published in 1966, Adams recalled that those who made the short walk from the camp to Cliff Top came “to watch the sun sink through clouds shot through with orange, purple and golden fire.” Nearly a century later, the allure of Mt. Le Conte continues to attract hikers of all ages who trek up the mountain and gaze upon spectacular sunsets from this popular vantage point. When I began thinking about a possible topic for a series of guest blog posts on HikingintheSmokys.com, I remembered Adams’ passion for Mt. Le Conte and the special relationship that he formed with the mountain during his lifetime. Adams believed that the high ridge and lower slopes of Mt. 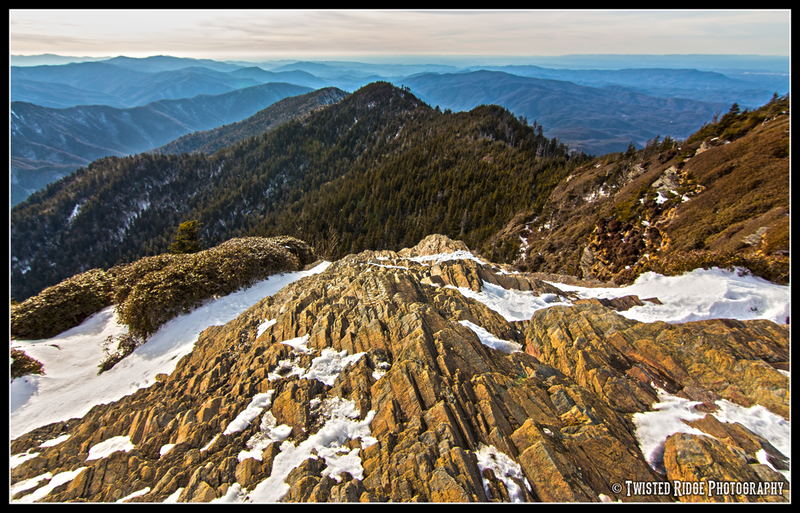 Le Conte comprised the most outstanding section of the Smokies. This sentiment is now shared by countless hikers and visitors to Great Smoky Mountains National Park who are drawn to the summit of Mt. Le Conte by its scenic vistas, its natural beauty, and its charm. Given the mountain’s iconic status among the many peaks of the Smokies, it is perhaps no surprise that the webpage dedicated to the Alum Cave Trail which leads to the top of Mt. Le Conte is one of the most frequently viewed trail pages on HikingintheSmokys.com. Of the five officially maintained National Park Service trails one can take to the summit, Alum Cave Trail is the shortest and possibly the most widely used. Drawn by the splendor of the mountain, every year thousands of hikers ascend this five-mile-long trail. Many return to their vehicles having completed a memorable hiking experience that they will cherish for years to come. For me, the popularity of Alum Cave Trail begs the question: how many of those who hike to Mt. Le Conte each year are aware of the fact that they are following in the footsteps of pioneering outdoorsmen like Paul Adams whose lives were forever changed by their experiences on the mountain? To shed light on this historical significance, I opted to write a series of blog posts that compare the early days of hiking to Mt. Le Conte with the present. Over the course of the last century, the nature of hiking on this popular mountain has certainly changed. Yet, the captivating allure of Mt. Le Conte remains as strong today as it was for those who once labored up primitive paths to its the summit. Three subsequent posts will follow this introduction. 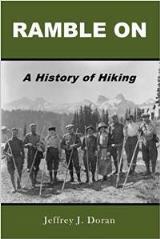 The first examines the trailblazing efforts of early-twentieth-century hikers who fervently supported the national park movement in the Smokies. The second takes a closer look at the role Paul Adams played in establishing a hiker’s camp near the summit. The camp formed the basis of the present-day LeConte Lodge - built by Jack Huff - which accommodates thousands of visitors each year. The final post explains how certain traditions begun by Adams and a host of pioneering Le Conte enthusiasts have survived the test of time. 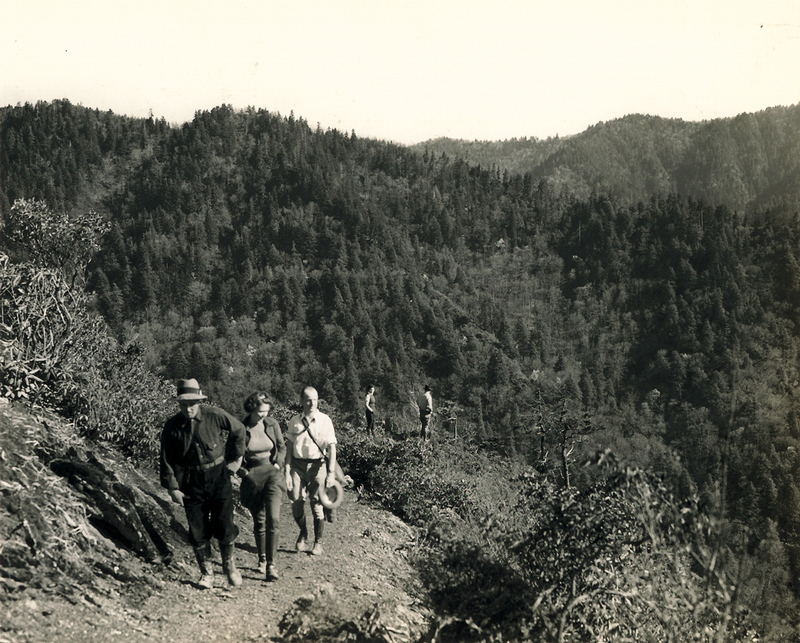 A number of images captured during the 1920s and 1930s by notable figures of Smokies hiking lore such as Jim Thompson and Herbert Webster will be included in this series. These historic photos showcasing scenes from Mt. Le Conte have been made available to the public through the Great Smoky Mountains Regional Project directed by Anne Bridges and Ken Wise at the University of Tennessee Special Collections Library. A special thanks goes to Anne and Ken for assisting me with my research and for taking an interest in my work. Earlier this year, I started a photography project titled, Scenes from the Smokies: “Past and Present.” As part of this ongoing project, I will be utilizing my abilities as an avid hiker, a historian, and a photographer to recreate many of the nostalgic photos that I have located in the UT Library Digital Collections. A few of these recreations will appear in this series. For those interested, future comparisons of past and present images, along with relevant background material, will be featured on my blog at twistedridgephotography.com. Lastly, I would like to thank Jeff at HikingintheSmokys.com for inviting me to write this series of guest blog posts for his very well-designed and resourceful website. Enjoy! Cades Cove: Great Smoky Mountain National Park from Matt Brass on Vimeo. If planning to visit Cades Cove this summer, you may want to consider staying in Townsend. If you've never had the pleasure of staying in the Townsend area, also known as the “Quiet Side of the Smokies”, you may want to note that it's much easier getting in and out of the park, and is fairly close to Cades Cove. If you need a rental cabin during your visit, be sure to visit our Townsend Accommodations page. The Appalachian Trail Conservancy (ATC) announced yesterday this year’s recipients of Appalachian Trail (A.T.) Specialty License Plate grants for projects that enhance the Trail in North Carolina. This spring, $35,000 was granted to 11 partner organizations, including A.T. maintaining clubs, schools, botanists, ecologists and environmental and conservation groups. This year’s recipients include the Carolina Mountain Club, Friends of the Smokies, Nantahala Hiking Club, North Buncombe High School Adventure Club, Hot Springs Tourism Association, Southern Appalachian Raptor Research, Tennessee Eastman Hiking & Canoeing Club and The Wilderness Society’s Southern Appalachian Wilderness Stewards. The grant funds will also support additional ATC programs and projects in North Carolina, including a school-wide Trails To Every Classroom immersion program for Summit Charter School in Cashiers; Wilderness First Aid courses for A.T. club volunteers; the Roan Mountain Ridgerunner program; and a workshop to construct a pollinator garden and monitor Monarch butterflies at the Wesser Nantahala Outdoor Center. The A.T. Specialty License Plate grant program is funded by drivers who purchase or renew their North Carolina A.T. license plates. Twenty dollars from each license plate purchase is given to the ATC to support its work in the state. In addition to funding the grant program, the money is used for A.T. greenway acquisition and to help support the work of the ATC’s Southern Regional Office in Asheville. Overall, A.T. specialty license plate sales in North Carolina bring the ATC about $120,000 each year. A.T. specialty license plates are currently offered in North Carolina, Tennessee, Georgia and Virginia and are a way to support the ATC in its work to sustain the Trail into the future. For more information about the ATC license tag program, visit www.appalachiantrail.org/plates. As you can see, to reach the summit of Longs Peak is more than just a tough day hike. It's considered to be a Class 3 climb, and requires some basic mountaineering skills, especially if the weather goes south on you while on or near the summit. If you think this is something you would like to do someday, I highly recommend learning more about this climb on the 14ers.com website. If you're like me and think that the summit is beyond your comfort level, you can still hike up to the Keyhole. Although it's an extremely tough hike, there's relatively little exposure to steep drop-offs. In fact, for experienced hikers, it's one of the most popular hikes in the park. The views along much of the hike, especially from the Keyhole itself are quite spectacular. For more information on this hike, please click here. If you do plan to visit Rocky Mountain National Park this year, please note that our website offers a wide variety of accommodation listings for both Estes Park and Grand Lake. 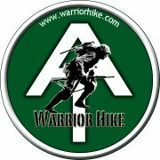 The Appalachian Trail Conservancy (ATC) has again partnered with Warrior Hike to provide a group of military veterans the opportunity to “Walk Off The War” along the Appalachian Trail (A.T.). This year’s group of veterans began the six-month-long physical challenge on March 17th at Springer Mountain, the southern terminus of the Trail in Georgia. 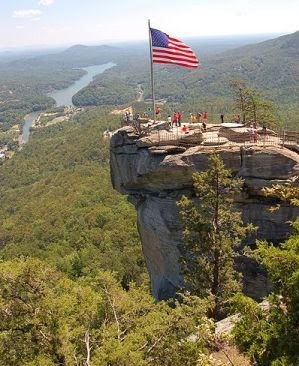 The "Walk Off The War" Program provides participating combat veterans with equipment and supplies required to complete a thru-hike of one of America’s National Scenic Trails; coordinates trail town support in the forms of transportation, food and lodging; and assists veterans with future employment opportunities through partners and sponsors. Veterans hiking the A.T. this year include Scott Brooks-Miller, a Vietnam War veteran, and several returning service members from Operation Iraqi Freedom and Operation Enduring Freedom. The ATC, A.T. maintaining clubs and veterans groups in trail towns will provide the veterans with support services, including lodging, transportation and meals. This year, Warrior Hike has expanded to include end-to-end hikes on the Continental Divide and the Pacific Crest National Scenic Trails in addition to the A.T.
For more information, visit www.appalachiantrail.org/events or www.warriorhike.com. Boots: Much has already been written on boots and walking shoes, including what type to wear, proper fit, etc. That discussion is beyond the scope of this article, but if you’re looking for an informative article on the subject I highly recommend this one. Also, my wife has had problems with blisters, and even lost a toenail while hiking to the bottom of the Grand Canyon several years ago. She’s since discovered that as a result of her narrow feet, she wasn't wearing boots that fit her properly. This article on Backpacker Mag offers solutions for people who have similar issues. * If you do develop a hot spot, cover them immediately with moleskin, athletic tape, or even duct tape before they become blisters. The Great Smoky Mountains announced today that a 2.3 mile section of the Trillium Gap Trail, between the Rainbow Falls parking lot and the Grotto Falls parking lot, is closed due to hazardous tree removal. Ultrarunner Karl Meltzer announced on his website this week that he will be making another attempt at the Appalachian Trail speed record this season. He made a very strong attempt at the record in 2008. Although he was hampered by injuries, he still completed the 2176 miles, and roughly 500,000 feet of vertical climbing, in just 54 days, 21 hours, and 12 minutes. That time now ranks as the fifth-fastest recorded time in history. Jennifer Pharr Davis currently holds the Appalachian Trail speed record after completing the trail in just 46 days, 11 hours and 20 minutes in 2011. In other big news. I am now making a formal mention that I’ll be headed back to Mt. Kathadin in Maine for another run at the AT record. I”m sure I’ll get some negative response, but keep in mind…this is all about being on that amazing trail, moving quickly and efficiently, and giving it all the respect I can possibly give it. If I fail, or fall behind a potential record, I am jumping in our vehicle and coming home. I won’t complete it this time if the record can’t go down. There will be no blog, no circus, and no listening to people tell me that hikers are faster than runners. Or visa versa….there is no difference, one person just moves a bit quicker and takes more risks. You can read more on his blog by clicking here. The Appalachian Trail Conservancy (ATC) is inviting volunteers, ages 18 and older, to join Trail Crews that will help repair and construct new sections of the famous Appalachian Trail. No previous experience is necessary – just a desire to work hard, live in the backcountry and have a great time among new friends. The ATC’s all-volunteer Trail Crews are led by paid trail crew professionals who teach volunteers trail construction, stewardship and Leave No Trace skills during the multi-day adventure. The ATC provides food, tools and the equipment necessary to get the job completed. Multi-week volunteers are welcome to stay at our various base camps between sessions. Trail Crews tackle projects such as relocation, reconstruction, and bridge and shelter construction along the A.T. The crews are active every year, from April through October, on projects located from Maine to Georgia. 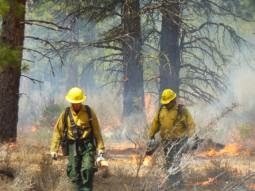 Trail Crew projects, which may last for a week or more, are planned and completed in cooperation with Trail-maintaining clubs and agency partners such as the National Park Service and the U.S. Forest Service. Konnarock, the ATC’s flagship crew, tackles projects involving trail construction from the A.T.'s southern terminus in Springer Mountain, Georgia to Rockfish Gap in central Virginia. Volunteers work a five-day week in the field and return to base camp for a celebratory dinner the evening of the fifth day. This year, crew weeks begin May 7 and end August 13, with work sites varying from Grayson Highlands State Park in Virginia to Little Rock Knob in Tennessee. The Mid-Atlantic Crew is also searching for volunteers for its spring, summer and fall sessions. 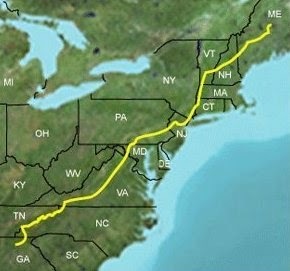 Based at an old farmstead in Carlisle, Pennsylvania, the Crew works on the A.T. from Rockfish Gap in Virginia to the New York-Connecticut state line. Sessions begin April 3 and end October 27. For adventurous volunteers, the Smokies Wilderness Elite Appalachian Trail Crew (S.W.E.A.T.) leads workers into the backcountry of Great Smoky Mountains National Park to work at the highest elevations along the A.T. Six-day sessions begin June 7 and run through August 26. Those who wish to volunteer in the Smokies may also consider the Rocky Top Trail Crew, which works exclusively along 70 miles of the A.T. following the ridge crest from Davenport Gap to Fontana Dam, North Carolina. Rocky Top Crew sessions begin August 30 and end October 25. Additional volunteer opportunities include the Vermont Long Trail Patrol (VLTP), which works on heavy construction projects on hiking trails in Vermont, including the co-aligned A.T. and Long Trail, and the Maine Trail Crew, which focuses on projects involving reconstruction and rockwork along 267 miles of the A.T. VLTP sessions begin July 4 and end August 12, and Maine Trail Crew sessions begin June 14 and end August 13. If you’re ever in the Santa Fe or Albuquerque area, be sure to take the one-hour drive to visit Kasha-Katuwe Tent Rocks National Monument. This is truly a remarkable place. The best way to see this unique landscape is to hike the Cave Loop / Slot Canyon Trail. This short video will give you an idea of what this magical place is all about. For more detailed information on the hike, please click here. North Carolina’s state parks are actively seeking volunteers to help protect the state’s rich natural resources and serve an expected 14 million visitors this year, according to the N.C. Division of Parks and Recreation. At all 40 state parks and state recreation areas, volunteers serve in many capacities including campground hosts, visitor center aids, trail workers and special events coordinators, and they provide manpower for specials projects involving tree planting, habitat improvement, inventory of rare species and environmental education. Anyone interested in volunteering can contact a nearby park through the division’s website or contact the division’s volunteer coordinator at 919-707-9346 or tara.gallagher@ncparks.gov. Back in January the U.S. Mint launched a new quarter honoring Great Smoky Mountains National Park. 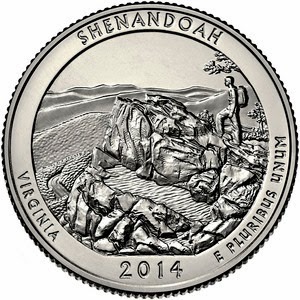 Next month will be Shenandoah National Park's turn to be honored by a quarter in a series known as the America the Beautiful Quarters™ Program. The Shenandoah coin will be the second of five new United States Mint America the Beautiful Quarters for 2014. It will also be the twenty-second for the program that started in 2010, which will see a total of 56 new strikes during its eleven year run. Arches, Great Sand Dunes and Everglades national parks will be the other three parks honored throughout the rest of the year. An issuing ceremony will be held at Skyline High School in Front Royal, VA on the morning of April 4th. The director of the U.S. Mint will be on hand, and people will be able to purchase uncirculated quarters at the public event. Great Smoky Mountains National Park officials have announced the spring opening schedule for park facilities for the 2014 season. Campgrounds and secondary roads began opening yesterday. You can find the full schedule by clicking here. Shenandoah National Park personnel have determined that the cause of the Rocks Mountain Fire was an illegal campfire. The fire, which was reported to the park at approximately 3:10 p.m. on Friday, February 28th, had burned approximately 450 acres inside Shenandoah National Park before a winter storm brought rain, sleet and snow to the area. Fire managers visited the fire location just northeast of Crimora, Virginia yesterday and confirmed that a continuous layer of snow still covers much of the incident area. Once the snow melts, firefighters will patrol the area for hot spots. The following trails in the park remain closed: Riprap, Wildcat Ridge, Rocks Mountain and Paine Run. 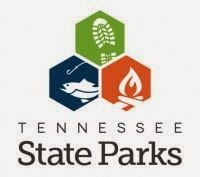 Tennessee State Parks announced yesterday that they will be offering free, guided hikes on March 22nd. The second in the quarterly hikes program, the Spring Hikes will be offered at each of the 54 state parks. From Reelfoot Lake to Fall Creek Falls to Warriors’ Path and every state park in between, the 2014 Spring Hikes are designed for all ages and abilities. Some hikes will be approximately one mile in length and tailored for novice hikers, while others are lengthier and geared toward more experienced hikers. For a more in-depth look into planned hikes in your area, please click here. Great Smoky Mountains National Park officials announced earlier today that the Ramsey Cascades Trail has been temporarily closed due to a damaged footbridge. According to a park press release a 60-foot footbridge was damaged when high winds toppled a large hemlock tree, which destroyed the handrail. The trail is expected to reopen by late April. Great Smoky Mountains National Park officials are offering a reward for information regarding the recent theft of an antique window from a historic cabin in the Elkmont Historic District. The window was discovered missing in late January resulting in a significant loss to the unique features that characterize the cabin. “This is a very sad case of vandalism and theft,” said Chief Ranger Clay Jordan. “The people who did this have stolen a piece of our shared history that can never be replicated.” Park officials are offering a $1,000 reward for information leading to the arrest and conviction of the individuals responsible for the theft. The missing window was from the former summer home of a Knoxville glass maker featuring an intricate and unusual design. The entire 3 feet x 12 feet glass window is missing from the frame which includes 34 individual glass panes, each measuring 4 inches x 4 inches. Two of the original 36 glass panes were missing prior to the theft of the entire window. It is unlawful to disturb or deface natural and historic resources within the Park. Perpetrators may be sentenced up to 6 months in jail and or fined up to $5,000. Anyone with information as to the possible identity of the individuals responsible for the theft is encouraged to call the tip hotline at 865-436-1580. The Elkmont Historic District was placed on the National Register of Historic Places in 1994. Upon its registration as a Historic District, it was comprised of 74 cottages, outbuildings and the Wonderland Hotel with 49 of the structures noted as being of significance to the District. The spectacular Mist Trail at the eastern end of the Yosemite Valley leads to some of the most popular destinations in Yosemite National Park. Although the mileage is relatively moderate, this is still a fairly tough hike. 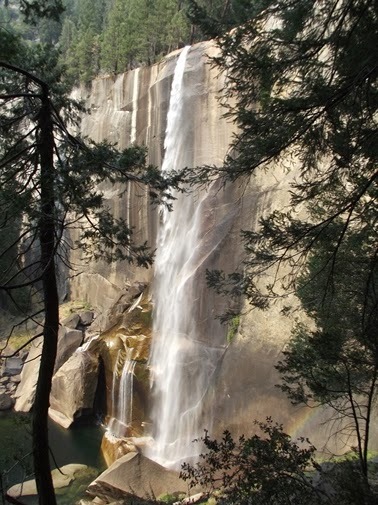 It’s all worth it though; you’ll visit star attractions such as Vernal Fall, Nevada Fall and the Emerald Pool. For more information on this “bucket list” hike, please click here. Join Friends of the Smokies and fitness expert Missy Kane once again for another series of hikes this upcoming spring. Each Wednesday throughout the month of April, Missy and Friends will hike a different trail in the Great Smoky Mountains. Now celebrating it's 16th year, Get on the Trail with Friends and Missy has raised more than $140,000, with proceeds going towards the support for the preservation and protection of Great Smoky Mountains National Park. Great Smoky Mountains National Park officials were joined by Secretary of the Interior Sally Jewell and Senator Lamar Alexander on Monday, March 3, to celebrate the contributions that public-private partnerships have made to the national park to help honor and preserve America’s cultural heritage. Secretary Jewell announced a timeline for the construction of a 13,000 square-foot Collections Preservation Center in Townsend, TN with the solicitation process beginning immediately and construction expected to begin this summer. The new facility is expected to be completed in the fall 2015. Through the completion of this new regional center, the National Park Service (NPS) will be able to properly care for over 144,000 artifacts, 220,000 archival records, and 275 linear feet of library materials documenting the history of Great Smoky Mountains National Park and four other NPS areas in East Tennessee including Andrew Johnson National Historic Site, Big South Fork National River and Recreation Area, Cumberland Gap National Historical Park, and Obed Wild and Scenic River. Consolidating the collections materials will both ensure the protection for the heirlooms entrusted to the National Park Service and also allow for a single Museum Curator to oversee all the collections. “We are delighted to be a part of this incredible opportunity that now allows us to properly care and preserve these pieces of our past enabling us to continue to tell the stories of the Smokies,” said Acting Smokies Superintendent Pedro Ramos. “This opportunity would not have been possible without the generosity of our partners, Great Smoky Mountains Association and Friends of the Smokies, and the individuals that offered their support.” Nearly half of the estimated $ 4.3 million cost of the facility has been provided by our park partners along with the donation of the 1.6 acre parcel of land provided by the Great Smoky Mountains Heritage Center. 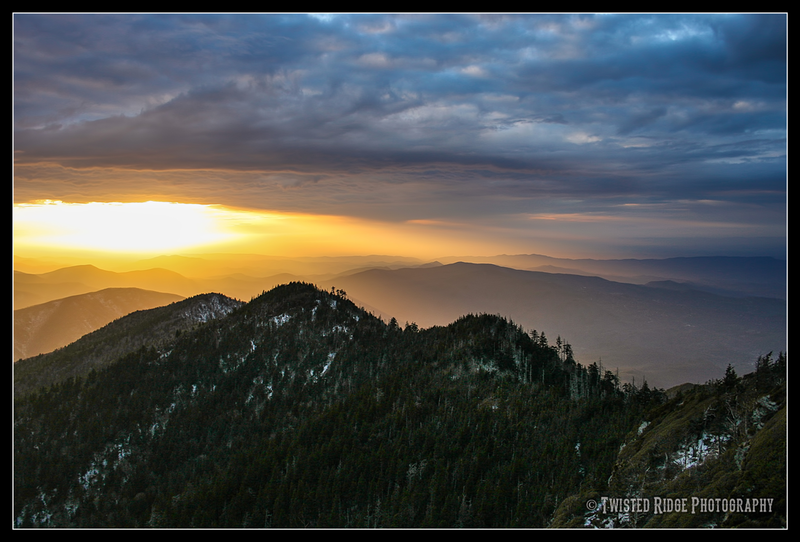 “The Friends of the Smokies is privileged to partner with the Great Smoky Mountain Association to assist the NPS in the creation of such a lasting and meaningful resource for our area,” said President Jim Hart. “Great Smoky Mountains Association is honored to be a part of this landmark project that pays tribute to the people who gave up their homes and communities for the creation of this national park. Of all the park projects GSMA has supported over the last 61 years, this is one of the very most important,” said Executive Director Terry Maddox. The historic artifacts include pre-historic projectile points, logging-era equipment, vintage weapons, clothing, farm implements, tools and other possessions that would have been found on the farmsteads of the Southern Appalachians in pre-park days such as everyday items including hair combs, butter churns, beds, looms, and spinning wheels, all handmade and all one-of-a-kind. The collection also includes documentary history through oral histories of Southern Appalachian speech, folklore, official documents, photographs and stories. Having these artifacts more accessible will also allow more opportunities for the NPS to share items with approved public museums for temporary display including the adjacent Great Smoky Mountains Heritage Center. Park officials are honored by the dedication and perseverance of Senator Alexander and Department of Interior leaders who provided continued support leading to the construction of this facility which likewise honors the families whose legacy will be well preserved. As a part of the media event, leaders also had the unique opportunity to hear the stories of several descendants of families who gave their lands for the creation of the national park as we honor the contributions of their ancestors through this preservation effort. Again, I'll ask, why won't these collections be open to the public in a museum of some type? The citizens of this country, after all, own them. A new National Park Service (NPS) report shows that 9,685,829 visitors to Great Smoky Mountains National Park in 2012 spent $741 million in communities near the park. That spending supported 10,959 jobs in the local area. National park tourism is a critical economic driver for gateway communities across the nation. Researchers estimate that for every $1 invested by American taxpayers, the National Park Service returns $10 to the U.S. economy. The peer-reviewed visitor spending analysis was conducted by U.S. Geological Survey economists Catherine Cullinane Thomas and Christopher Huber along with Lynne Koontz for the National Park Service. The report shows $14.7 billion of direct spending by 283 million park visitors in communities within 60 miles of a national park. This spending supported 243,000 jobs nationally, with 201,000 jobs found in these gateway communities, and had a cumulative benefit to the U.S. economy of $26.75 billion. "The Blue Ridge Parkway is proud to welcome visitors from across the country and around the world," said superintendent Mark Woods. "We are delighted to share the story of this place and the experiences it provides and to use the park as a way to introduce our visitors to this part of the country and all that it offers. National park tourism is a significant driver in the national economy – returning $10 for every $1 invested in the National Park Service - and it's a big factor in our local economy as well. We appreciate the partnership and support of our neighbors and are glad to be able to give back by helping to sustain local communities." "The Parkway will continue to rely on important relationships with our partners and neighboring communities as we prepare for the upcoming 2014 visitor season and beyond," Woods continues. "The symbiotic nature of the Parkway and its gateway communities is clearly demonstrated by this report and reinforces one of the original vision statements of the Parkway as "a major contributor to regional economic vitality."" The peer-reviewed visitor spending analysis was conducted by U.S. Geological Survey economists Catherine Cullinane Thomas and Christopher Huber and Lynne Koontz for the National Park Service. The report shows $14.7 billion of direct spending by 283 million park visitors in communities within 60 miles of a national park. This spending supported 243,000 jobs nationally, with 201,000 jobs found in these gateway communities, and had a cumulative benefit to the U.S. economy of $26.75 billion. According to the report most visitor spending supports jobs in restaurants, grocery and convenience stores (39 percent), hotels, motels and B&Bs (27 percent), and other amusement and recreation (20 percent). 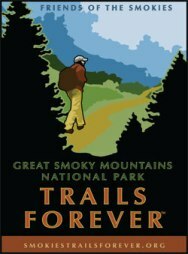 The Great Smoky Mountains National Park Trails Forever program has announced on their website that trail rehabilitation work will once again resume on the Chimney Tops Trail this summer. The project will stabilize and improve conditions on the popular trail in order to protect resources and enhance the visitor's experience. As a result, the Chimney Tops Trail will once again be closed on Mondays through Thursdays, from May 5th through October 16th, while this work is in progress. 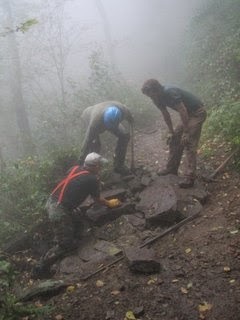 This will be the third season that crews have been trying to complete rehabilitation work on the trail. Last year work was delayed as a result of flooding rains in January, which washed-out the 70-foot footbridge that crosses Walker Camp Prong near the Chimney Tops Trailhead. The bridge and trail didn't reopen until July. The government shutdown in October also ended the work season a little shorter than expected. The Trails Forever website also announced that volunteers will be needed to help with the five-month project. Beginning on May 21st you can help by joining the work crew on Wednesdays throughout the season. Volunteers will work to complete a variety of trail rehabilitation tasks. There will be a limit of the number of volunteers for each of the workdays and you must sign up in advance to volunteer. Once you sign up and secure a spot for one of the workdays you will receive more details. To sign up, please contact Christine Hoyer, the Trails and Facilities Volunteer Coordinator, by emailing her at christine_hoyer@nps.gov. 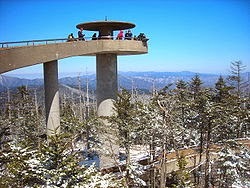 Great Smoky Mountain National Park is recruiting volunteers to staff the Information Center at Clingmans Dome, from April 1 through November 30, 2014. The center sits at an elevation of 6,300 feet and is a source of information for the national park. Volunteers are needed to provide educational, recreational and trip planning information. Until recent years, visitors to this popular destination did not have a chance to regularly obtain information about the park. With the help of volunteers staffing the center and walking along the Tower Trail, visitors can inquire and learn about the trails and interesting facets of the high elevation spruce-fir ecosystem. 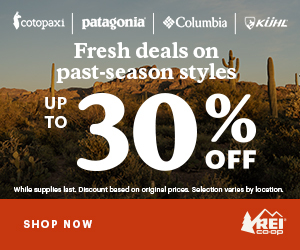 Other helpful services provided include the ability to purchase guides, maps, outdoor apparel, and other products sold by the Great Smoky Mountain s Association (GSMA). GSMA is a primary park partner and is involved in a number of projects to improve the visitors’ experience. Volunteers will be working alongside GSMA employees and each volunteer is asked to work at least one four-hour shift per week, either 9:30 am until 1:30 pm or 1:00 pm until 5:00 pm. Volunteers are needed to fill all days of the week, but especially Friday through Sunday. Interested persons will be provided orientation and training before their tour of duty. Volunteers will be needed during peak season, from April 1 through November 30. Training will be held at the Oconaluftee Administration Building north of Cherokee, North Carolina on Thursday, March 13, 2014. To sign up for this volunteer program or for more information, please contact Florie Takaki at 828/497-1906 or by email Monday through Friday.